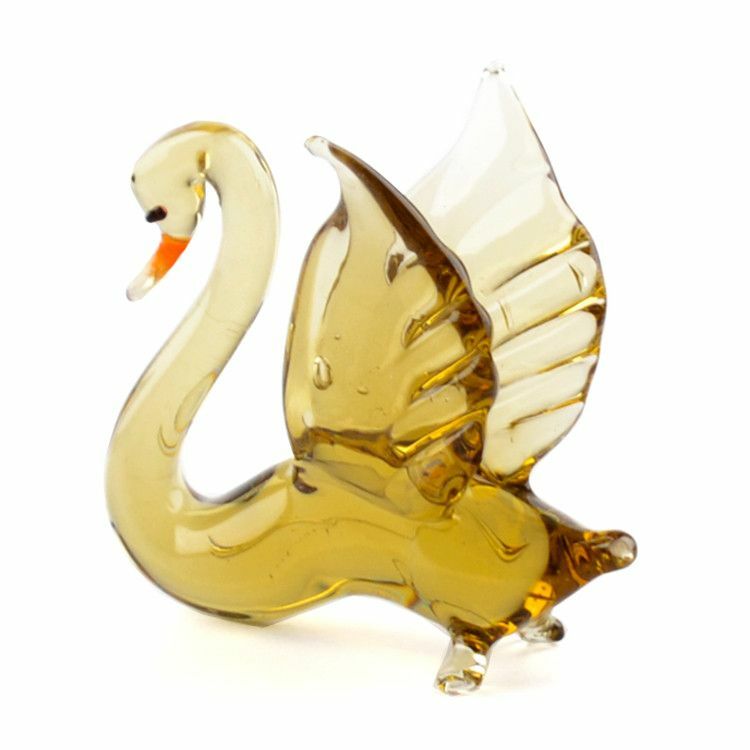 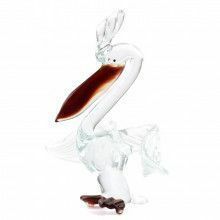 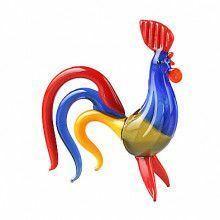 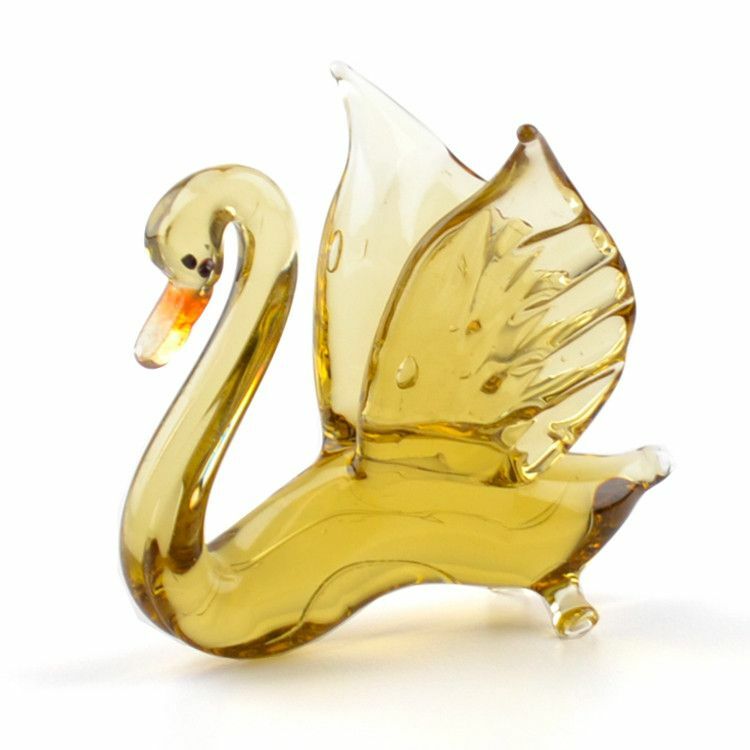 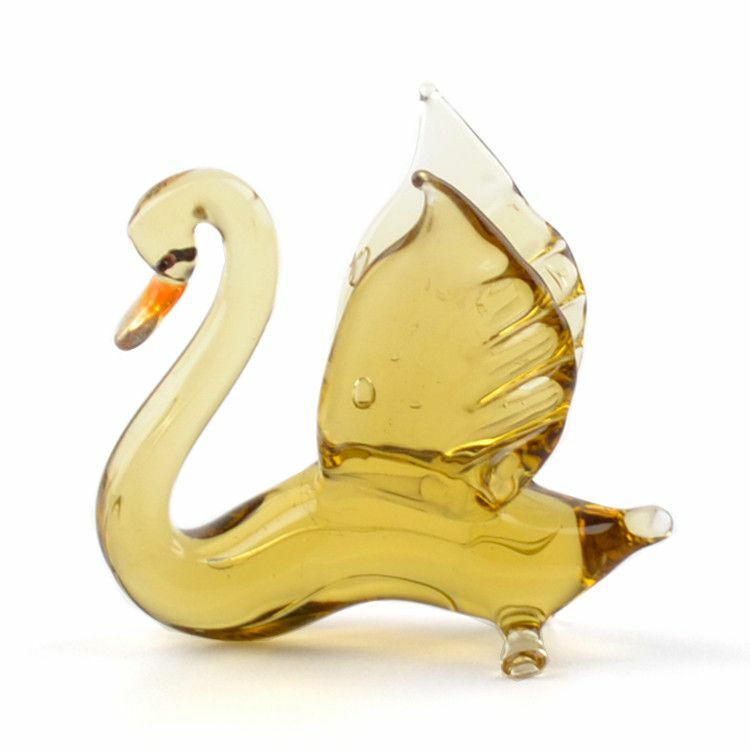 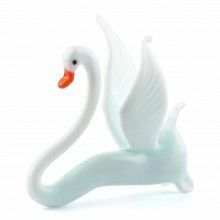 This gracious clear yellow/tan hued Swan Glass Figurine was hand blown by professional glassblowers and imported from Russia. 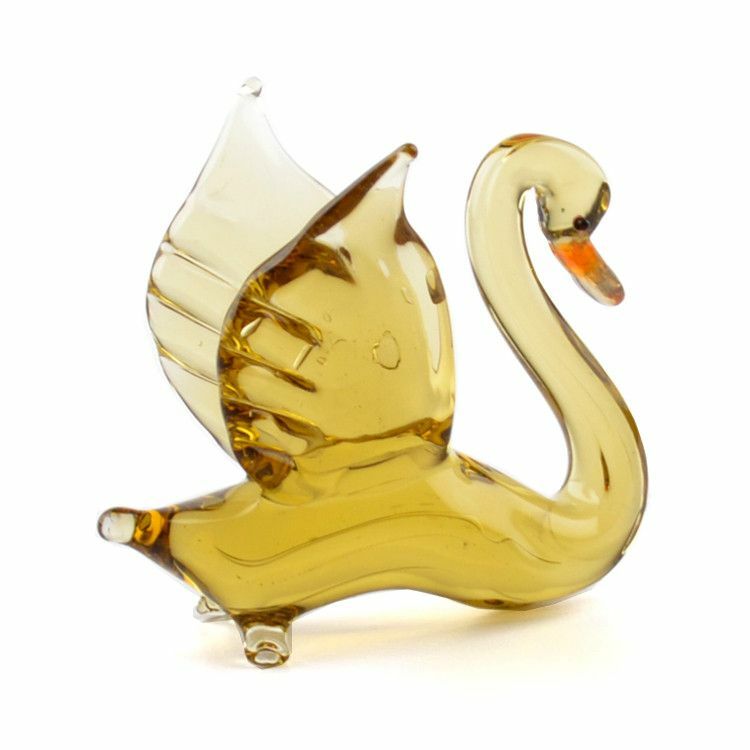 Beautiful 2" tall swan bird glass miniature. 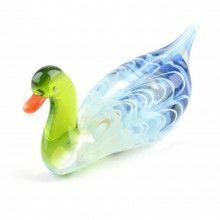 Shapes and colors might slightly vary.